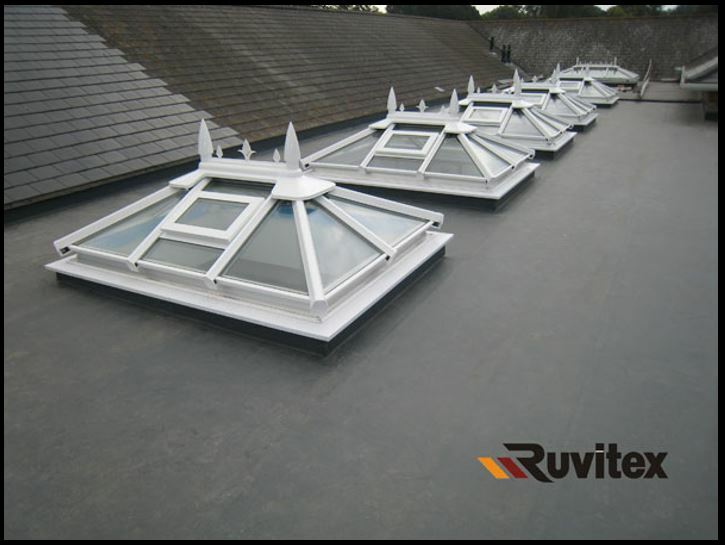 Ruvitex roofing systems are suitable for all types of roof design including flat, pitched and curved roof applications. Architectural features can be created by adding Ruvitex SS profiles creating an impression of lead, zinc or other forms of standing seam roof covering. The systems can be bonded, mechanically fastened or ballasted depending on the design criteria. 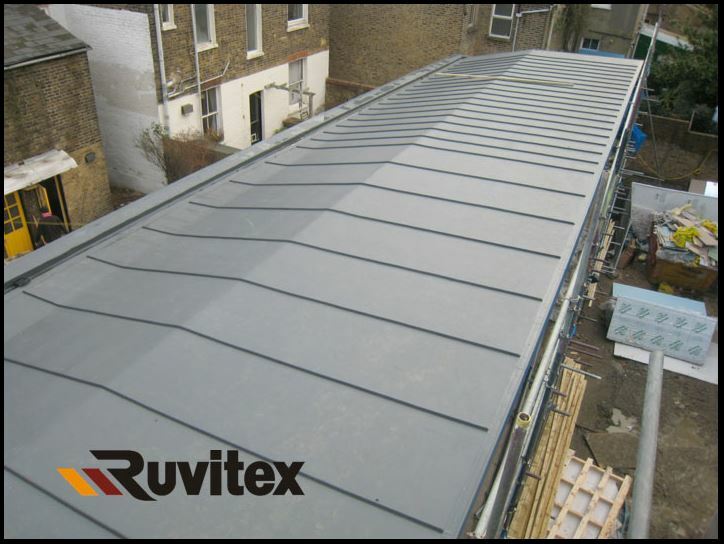 Ruvitex roofing systems can be installed with modern thermal insulation to create a warm roof or be used to form the waterproofing layer under terraces or green roof construction. Ruvitex roofing systems have been installed in a wide variety of buildings from domestic homes to massive warehouse complexes as well as airports, education and health care building. 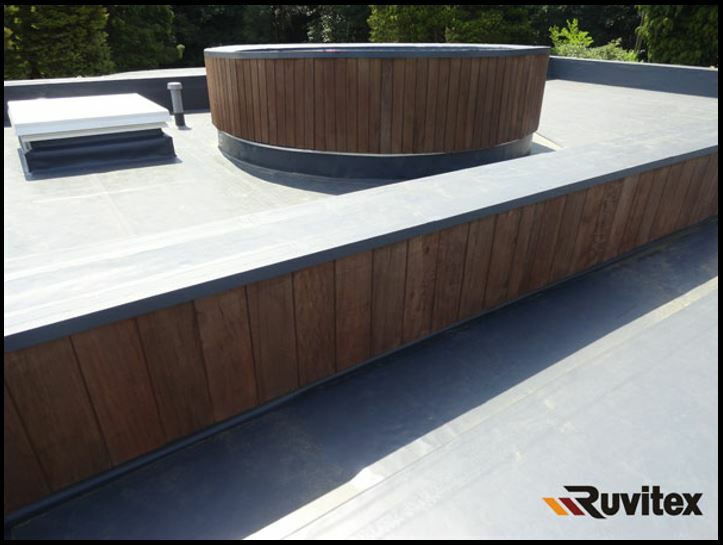 The installation of Ruvitex roofing systems is undertaken by authorised contractors who have the skill, ability and tooling required to provide a first class job. 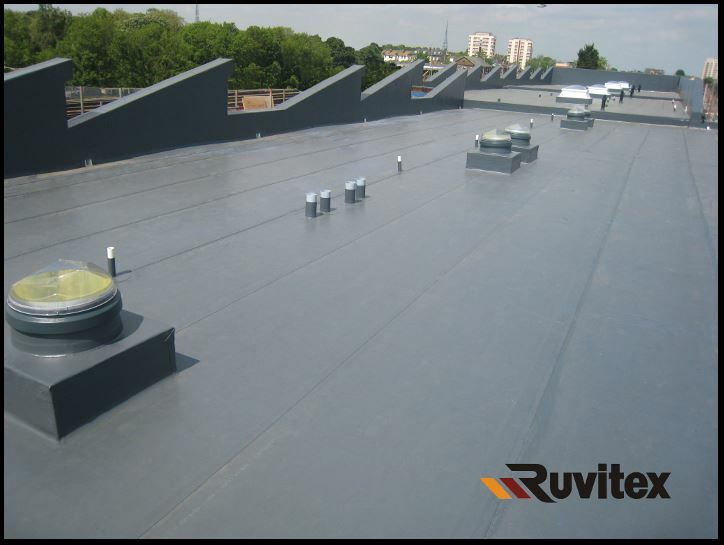 For further information how ABLE Waterproofing Ltd can supply and install a Ruvitex system please call on 0208 680 7999 or contact us through our Contact Us enquiry page.